Yasir Shah Interview After 2nd Test – Yasir Shah Breaks Imran Khan Record. PTV Cricket is a one stop for all cricket fans as we are providing all cricket news from all around the world. PTV Cricket’s objective is to bring almost all cricketing news from all around the world regardless of borders. You can find South Africa latest news, Pakistan Cricket team latest news, India cricket latest news, Australia cricket latest news and updates, Bangladesh cricket news and updates, West Indies cricket news and updates, Ireland cricket news, Afghanistan cricket news, Zimbabwe cricket news, Sri Lanka cricket news. 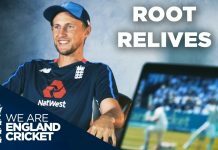 Sri Lanka Cricket videos. Pakistan Cricket Videos.